Christmas is a time of festivities, good cheer and – sometimes – of scary stories. It’s also a time of amazing special offers – and there’s one of those at the foot of this issue which applies to you… wherever you are in the world. The scary story element dates back at least to the Christmas of 1843. 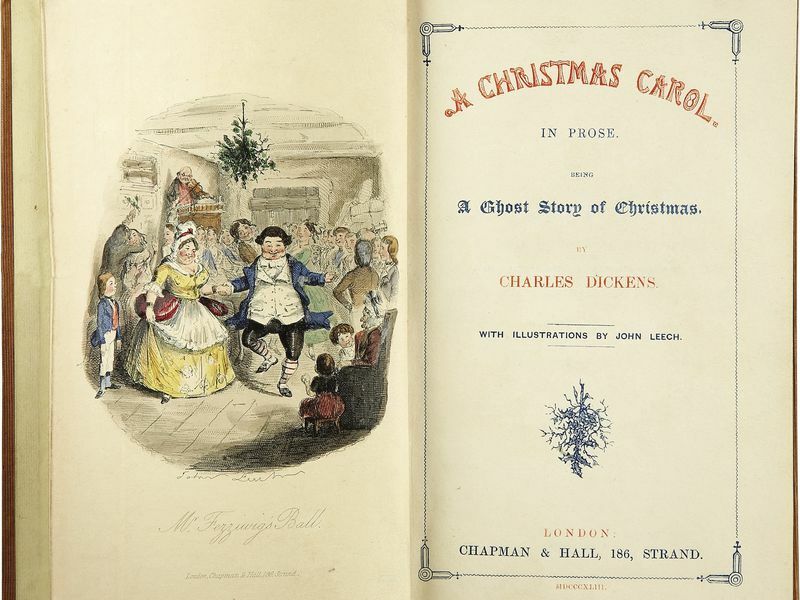 This was when journalist-turned-novelist Charles Dickens, first published what he labelled as “a ghost story of Christmas”. 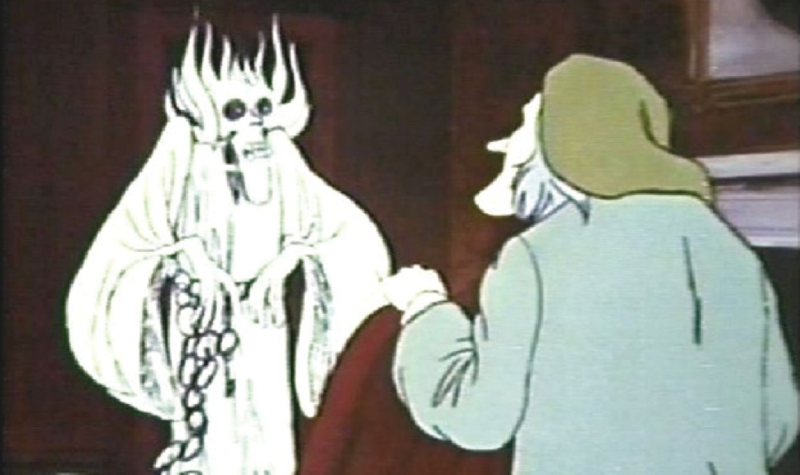 It was “A Christmas Carol” – that spooky story about an elderly miser called Ebenezer Scrooge who is visited by a series of ghosts. After appearances by the Spirit of Christmas Past, the Spirit of Christmas Present and the Spirit of Christmas Yet to Come, Scrooge transforms into a kinder, gentler human being. Here’s what the first edition looked like. Please make the most of the above left image as it also serves as your de facto Michael Dodd Communications electronic 2018 Christmas card! It illustrates Scrooge’s happy memories of dancing at Mr Fezzlewig’s ball – which could perhaps be seen as the “Strictly Come Dancing” event of its day. 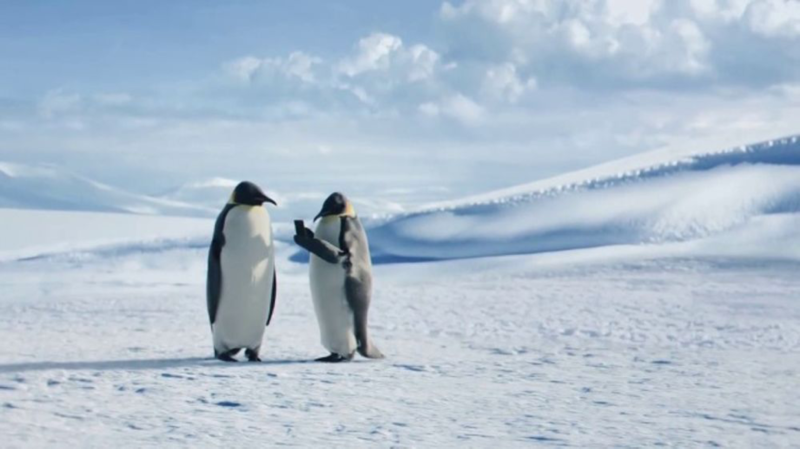 Like “Strictly”, “A Christmas Carol” proved instantly popular. It was published on 19 December 1843. The first edition had sold out by Christmas Eve. 6,000 copies were bought in its first week in print and 15,000 in its first year. By the end of 1844 thirteen editions had been released! Scary stories – from which important lessons can be drawn – are especially popular around Christmas. So here’s a real pre-Christmas scary story from 2018 that readers of The Mail On Sunday newspaper have just encountered. This spine-chilling tale of our time concerns a man who you might think would be a master at handling the media. 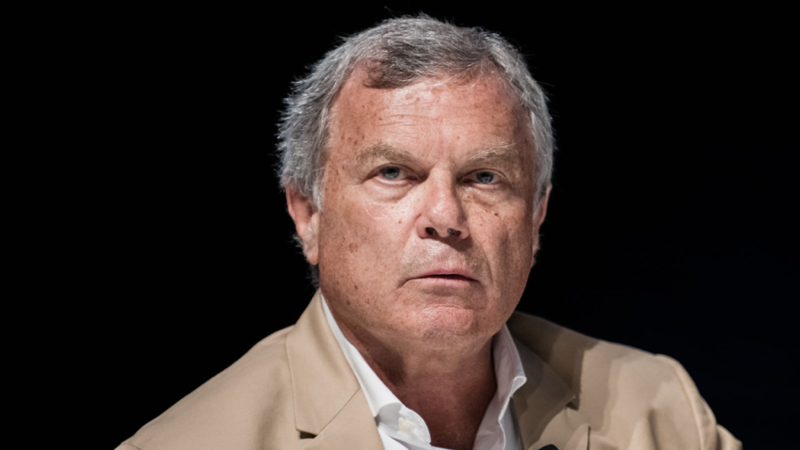 He’s the business tycoon, Sir Martin Sorrell – the one-time Chief Executive of the world’s largest advertising agency, WPP. He was forced out after an investigation into allegations of personal misconduct. Sir Martin now heads a much smaller and less prominent advertising company, S4 Capital. He did a pre-Christmas interview with The Mail On Sunday and handled it appallingly – far worse than you might expect from a highly experienced businessman used to dealing with the media. From Sir Martin’s perspective this was not story to bring any Christmas cheer. If you did a media interview and this was the result, you’d find it pretty spooky. But one of the reasons it’s turned out as it has is because, throughout his interview with the newspaper, Sir Martin gives atrocious unco-operative non-answers to predictable probing questions. 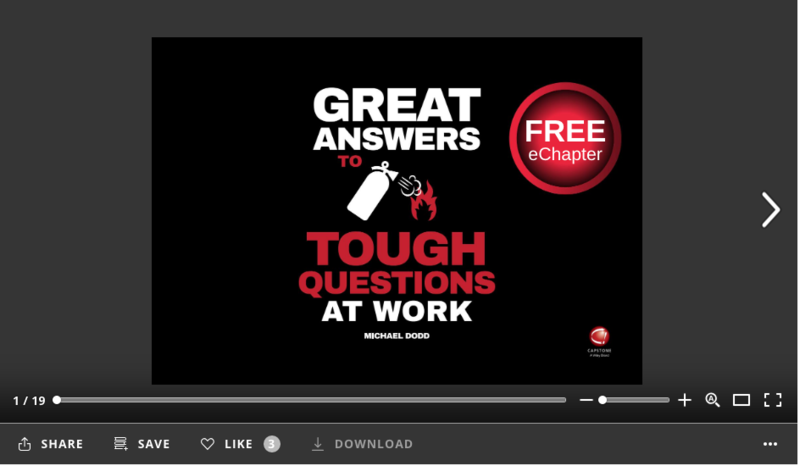 Within the interview are all the clues you need to draw important lessons about why it’s important to give great answers tough questions – and why ducking them doesn’t work. He was half wrong and half right with this prediction. Sir Martin was completely right in forecasting that he would refuse to answer tough questions. He did just that. He was completely wrong in asserting that there wouldn’t actually be any tough questions. There were. Lots of them! His non-answers on these questions effectively invite readers to draw their own adverse conclusions on the real truth of the matter. Revealing the methodology for competently dealing with the media – and to communicate more inspirationally – is something that can be done in conference speeches. Media-handIing advice and guidance on becoming more inspirational communicators is also at the heart of master classes and one-to-one training sessions on Giving Great Answers To Tough Media Questions. But here’s a tip for Sir Martin and anyone else inclined to go into a media interview without being prepared to deal with questions on the contentious issues that journalists want to explore on behalf of their audiences. NEVER, NEVER, NEVER start a media interview by telling journalists they are not to ask tough questions! Journalists will typically take that as a challenge – and clearly the Mail reporter, William Turvill, did just that. ALAS, SIR MARTIN, NON-ANSWERS LIKE THIS DON’T WORK! The rule that I’ve discovered from studying human media interview interactions in both hemispheres is that when there’s a question you can’t or won’t answer, YOU NEED TO SAY WHY YOU WON’T OR CAN’T ANSWER. When you don’t give this explanation, you’re unlikely to satisfy your questioner and any wider audience such those Mail on Sunday readers. If you doubt the truth of this, read at least the start of the Mail article and ask yourself: What do these non-answers do for Sir Martin’s image? The article should incite you to take steps to deal with tough questions thrown at you – by the media or anyone else – so much better than Sir Martin has. Here’s the news of a festive special offer that can help you on this and any other communications challenges you or your team may have…. The Late-December-January period is a time when many organisations quieten – if you’re not manufacturing mince pies or providing software support for Christmas elves etc. So for some in business it can be an ideal time to improve your individual communications performance skills. In line with this, there’s a special festive offer for one-to-one guidance sessions on the telephone or Skype to take place on Thursdays over this period. 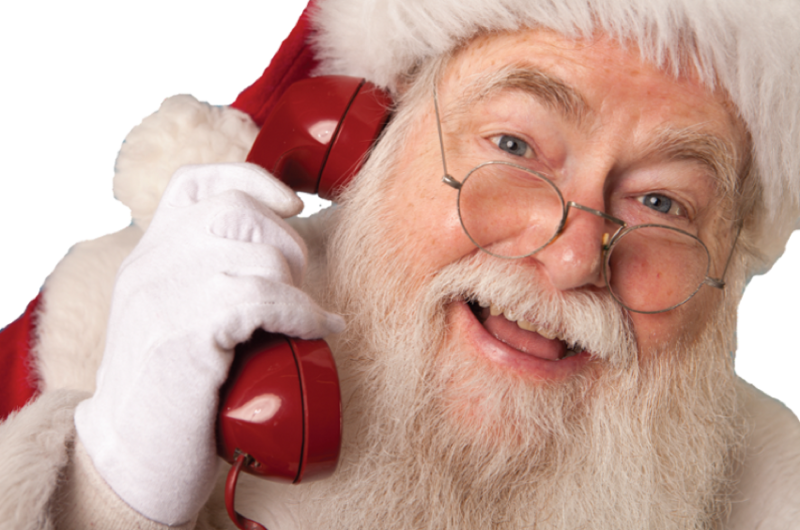 …In fact the sessions are open to you even if you’re phoning in from the North Pole. Details of your special seasonal offer are at the foot of this publication. Ho ho ho. So here’s to you having a splendid festive period – far less troubled than it was for Ebenezer Scrooge and has been for Sir Martin Sorrell. It’s been heartening to work with so many readers of this publication during 2018 – from Singapore to Sheffield, from Leeds to London and beyond. Wishing you a ripsnorting 2019 and to hoping to see you in it along the way. Communication-boosting sessions are typically conducted face-to-face – with conference audiences, in smaller master class groups or individually. But during the Christmas-New Year period it may be more practical and economical for you to boost your communications skills one-to-one over the phone or by Skype – at least in the first instance. So this is an opportunity for 90-minute Thursday telephone or Skype coaching sessions. These sessions are available from Thursday 20 December 2018 to Thursday 31 January 2019. · Other Areas Of Communications Challenge – Whatever communications challenge you face now or need to be ready for in the future. + Embed your learning by enhancing your performance level leading up to and throughout the second session. 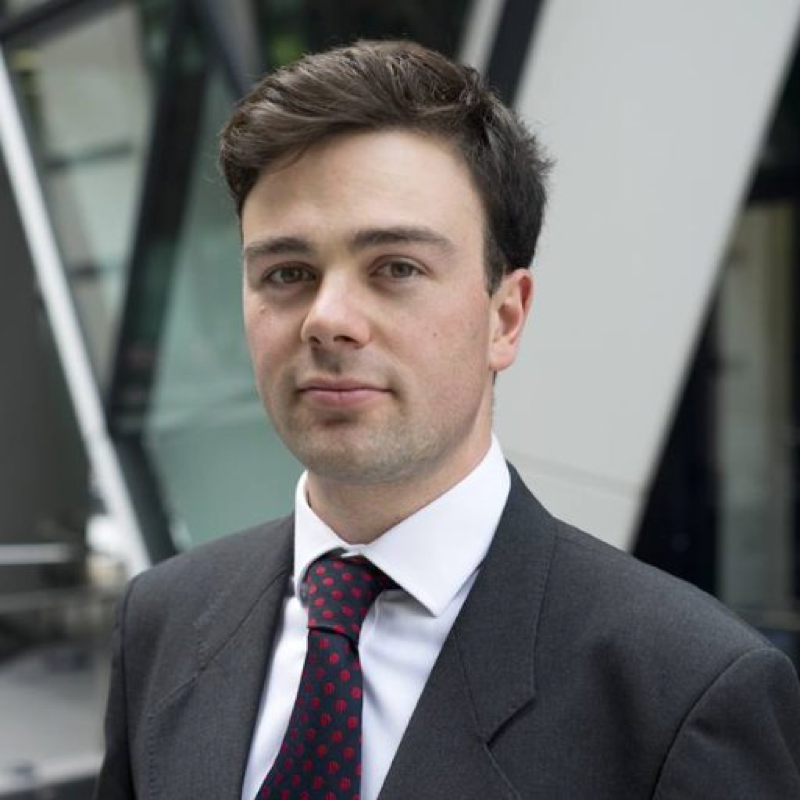 Despite these advantages of having two sessions, you can book a single session if you wish – to receive some initial guidance on tackling your communications challenge. Normally a coaching programme on these challenges and the additional email support you receive cost several hundred pounds. But Thursday one-to-one sessions until the end of January 2019 are at the special seasonal rate of £87 for one. And the investment cost is £125 for two Thursday sessions booked as a single order together – to encourage you to benefit from the improvements you make by doing both sessions on successive Thursdays. If you’re interested, please send a range of Thursday timeslots that work for you or team members, and identify how many slots you would like. I will then confirm whether those slots are still available. Assuming they are, a draft agreement, pre-session form to identify details of your challenge and invoice are emailed to you ahead advance payment. And away we’ll go to take you and/or your team members to a higher performance level for 2019 and beyond! If you’re interested in securing slots or discussing them, please email: michael@michaeldoddcommunications.com or call 44 (0) 7944 952835. Here’s to your upgraded 2019 performance levels!